These podcasts and the accompanying scheme of work provide an introduction to some of the key rituals of Ancient Greek religion. 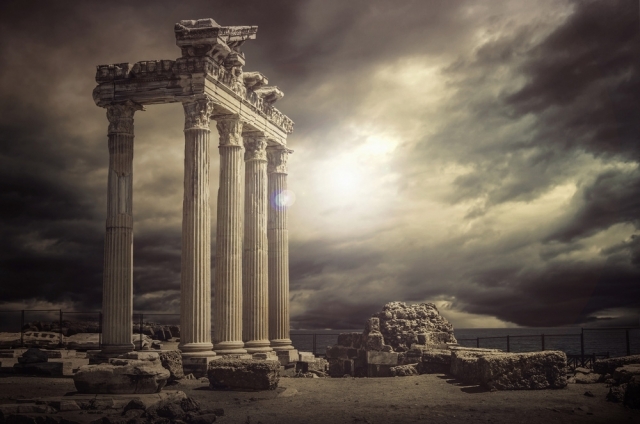 The podcasts are for advanced KS2, and KS3 students; Year 13 students (ancient languages) have also successfully used them for background, and they may be helpful in preparation for OCR A Level Classical Civilisation (H408/31) Greek Religion. The scheme of work is aimed at advanced KS2, and KS3 students. The podcasts are narrated by Simon Brown and written by: Hugh Bowden (King’s College, London), Felix Budelmann (University of Oxford), Esther Eidinow (University of Bristol), Olympia Panagiotidou (University of Thessaloniki), Robert Parker (University of Oxford), and Yulia Ustinova (Ben Gurion University, Israel). The podcasts were produced by participants in the AHRC-funded research network ‘Cognitive Approaches to Ancient Religious Experience’. Please contact Esther Eidinow (University of Bristol) for more information about the project or to give feedback about the podcasts and scheme of work.